This is Gilbert (a.k.a. Gilly-beart). The ‘t’ is silent. 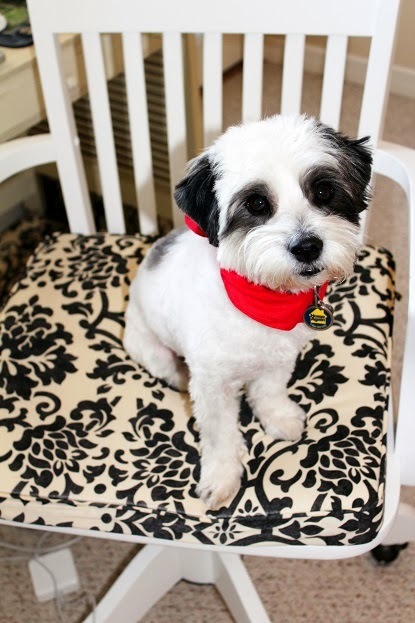 He’s a two-year old Coton de Tulear. A French pup. Beside him is his fur mama Sarah McCoy, author of the international bestseller The Baker’s Daughter, the forthcoming novella, The Branch of Hazel (Penguin, summer 2014) and the forthcoming novel New Charlestown (Crown, summer 2015). To be truthful, I usually do tea—Irish Breakfast, Earl Grey, Oolong, Matcha Green. But on occasion, particularly around the holidays, I’ll partake of the noble coffee bean. My mother, grandparents and husband are faithful coffee drinkers so when I smell a pot brewing, it reminds me of home. For my mom and husband that’s any medium roast. For my Puerto Rican grandparents, there is no substitute: Café Bustelo or nothing at all. So I’m sharing a cup of that today, in the spirit of family. Any treats for you or Gilbert on this occasion? I’m a baking-loving lady. 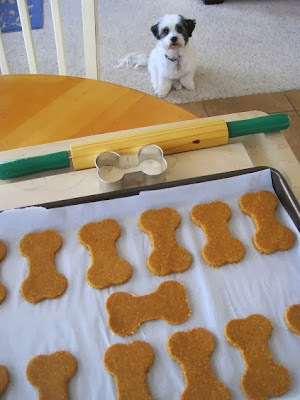 I started baking Gilly organic pumpkin dog biscuits about a year ago and they’ve become a staple in his treat diet. Full of the best ingredients, flaxseed, eggs, pumpkin, chicken broth, etc. I love that I can make him something I know is good for him and that he loves. I could probably eat these too (they are allergen-free), but I don’t get as jazzed by the taste of chicken and pumpkin together. How were you and Gilbert united? I went through a breeder outside of Chicago. Gilly was my second fur darling. Our first was a loving cockapoo named Gatsby who sadly passed away of cancer at age two. The breeder contacted me on Facebook when she saw how heartsick I was over Gatsby’s dying. She said she felt a divine connection—and it turned out to be so! I was waiting for Gilly before he was even conceived, then had the privilege of watching his dog mama grow beautifully round with his litter and give birth. From his first breath of air, I knew he was mine. When he was old enough to travel, I flew to Chicago and brought him home to our family in El Paso. How did Gilbert get his name? Any aliases? He’s named after one of my all-time favorite literary characters. Gilbert Blythe from Anne of Green Gables. However, we call him Gilly-bear(t), Gilly or Gil. Have any Gilbert-inspired dogs appeared in your published work? Not yet but one is about to. 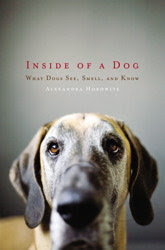 (I’m giving away book secrets here…) My third novel for Crown, New Charlestown, has a beloved dog in it. Gilly was certainly inspiration alongside Gatsby. They have been my fur children. Does Gilbert do more to help or to hinder your writing? He’s very considerate of my writing hours. He sleeps either behind me in my desk chair (taking up most of the real estate… I usually end up perching on the edge) or under my writing desk on his pillow. He keeps me comfy and warm on cold days. All of the above and he goes bark-nuts. He has particular animosity toward plastic bags. Trash bags, store bags, any bag that crinkles and he’s positive it’s a monster in our midst. He’s not a throw-&-fetch dog. You can throw, but he’ll stay next to you and watch. The only toy he’ll jump through hoops to collect is his “ducky”—a worn-out, gutless, stuffed animal that looks more like a sock than a fowl. But he loves it. He also has a heart chew toy that once was the body of a teddy bear my mom gave him when he was born. Those are his favorite things. If you give him any squeaky toy, he’ll gnaw out the squeaker in under an hour. I can’t tell if he loves it or hates it, but the squeakers don’t last around here. Does Gilbert have a favorite place to go for outings? He loves being home on my family’s land in Virginia. All the lush plants and woodland smells. The animals and nature are so unlike the desert. He tuckers himself out gleefully romping through their backyard with his ‘uncles’—my parent’s two yellow Labradors. Who is Gilbert's best pet-pal? His uncle Max. One of my parent’s labs in Virginia. They have a bond that I’ve never seen between two animals before. What is Gilbert's best quality? He sees my feelings more than any other little soul on the planet. He senses when I’m sad beneath the smile. When I’m scared beneath the brave face. When I just need someone to snuggle at my side and breathe deep… reminds me to do the same. If Gilbert could change one thing about Texans, what would it be? Hmm, given that we aren’t true Texans, I’m not sure he’d have an opinion about Texans in general. I’d say he probably just wishes Texas was only a mile away from Virginia. That would make us both happy. If Gilbert could answer only one question in English, what would you ask him? What in the world possessed you to eat ____ (fill in the blank: my husband’s toe fuzz, used tissues, a stink bug, etc.)? I’m baffled by the stuff he licks up and the stuff he balks at (steak, pork chops, cottage cheese). If Hollywood made a movie about your life in which Gilbert could speak, who should voice him? Oh, this a fun one! I polled my husband. It would need to be an actor of shorter stature but big personality, tons of energy, a man of style, and cheeky. So we went with Jeremy Piven. 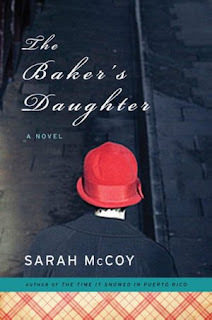 For more information on Sarah McCoy’s upcoming releases (The Branch of Hazel and New Charlestown) and her other books, visit Sarah McCoy’s website. 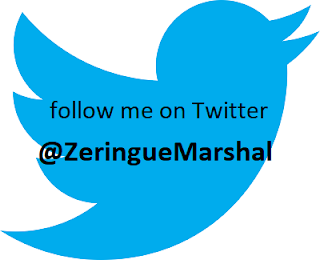 To see what shenanigans Sarah and Gilly are up to on any given day, you can find them on Facebook and Twitter. 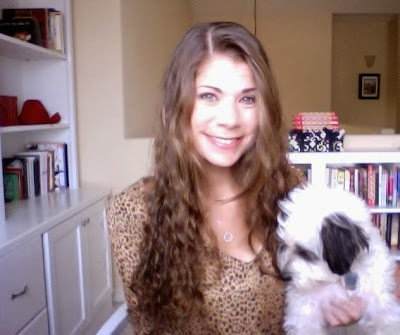 I love the relationship you have with Gilly. He seems like such a sweet dog. I believe that he takes after you that way.